With already some hot remixes on our label, its finally time for Digital Phaze to make their debut with a rather unique original track on our Above Allternative imprint. 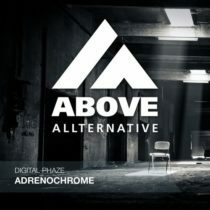 Adrenochrome is a tasty mix between techno and trance and will be one the highlights of your set. If you like the old Picotto & DJ Choose style this is your track!